Searching for storage in Agoura Hills? Consider Hollywood Storage Center of Thousand Oaks located in Newbury Park, California for your individual, business, specialty or furniture storage needs. 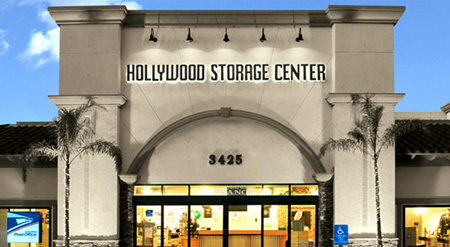 Hollywood Storage Center is conveniently at located at 3425 Old Conejo Road in Newbury Park, CA, in the Conejo Valley (consisting of the cities and communities of Thousand Oaks, Newbury Park, Westlake, Westlake Village, Oak Park, Agoura and Agoura Hills). Only 12.4 miles (17 minutes) from Agoura Hills and ½ mile from the 101 freeway, the Hollywood Storage Center in Newbury Park is the only immaculate, modern storage facility in the Conejo Valley with staff on hand to serve you seven days a week including extended weekend hours. Document, paper and furniture storage items sensitive to temperature fluctuations can be confidently stored at the Hollywood Storage Center in its three climate-controlled buildings. Other specialty storage needs such as wine storage, safety deposit boxes and vault storage for artwork and collections are among the myriad of options we specialize in. The Hollywood Storage Center residential and business storage offerings are second to none. We receive customer packages and shipments free of charge, provide copy & local fax services, and allow customers to use our fully equipped conference room and kitchen, as well as the U.S. Postal Service Station – seven days a week. Fifty storage sizes: With so many choices, you get the size and space you need at the right price. Dollies and Flat Carts: Free for customers to use. Need packing supplies? You’re covered – we’ve got everything you need to pack, ship, move, and store your stuff and there’s no risk; we will buy back unused boxes. Moving into a new Agoura Hills storage space at Hollywood Storage Center is easy, beginning with the wide driveways and convenient parking and continuing with extra-wide doors and storage units with extra high 10-ft ceilings, giving you more storage capacity. Our helpful staff is available daily to discuss individual, specialty and business storage options with you. Customers seeking storage in Agoura Hills can feel secure about the company they are about to trust with their storage items. We have a long history in the community and have continued to build and expand our space and services to best meet community needs. Hollywood Storage Center is owned and operated by a Los Angeles-based three generations family partnership that is deeply committed to community schools and organizations. The memorable experience at Hollywood Storage Center doesn’t cost more, you just get more... we guarantee it! If you find an identically sized self-storage unit at a comparable storage or mini-storage facility in the Conejo Valley or at another Agoura Hills storage facility with a better price than ours, we won’t just match it, we will beat it! Need storage in Agoura Hills, California? You’ve come to the right place! Call us at (805) 500-4542 (sales) or (805) 499-2700 (customer service). Our office is open seven days a week to serve you.